Technologies like smartphones and apps are reshaping life, health care, and business. Clinicians need skills, knowledge, and attitudes to ensure quality care and to supervise the current generation of trainees, consistent with the Institute of Medicine’s Health Professions Educational Summit. Literature is integrated on patient-, learner-, competency-, and outcome-based themes from the fields of technology, health care, pedagogy, and business. Mobile health, smartphone/device, and app competencies are organized in the Accreditation Council for Graduate Medical Education (ACGME) Milestone domains of patient care, medical knowledge, practice-based learning and improvement, systems-based practice, professionalism, and interpersonal skills and communication. Teaching methods are suggested to align competency outcomes, learning context, and evaluation. Services by mobile health, smartphone/device, and apps have a broader scope than in-person and telehealth and telebehavioral health care. This includes clinical decision support in medicine, hybrid delivery, and integration across health systems’ e-platforms. A curriculum with seminar, case- and problem-based teaching, supervision, evaluation, and quality improvement practices is needed to achieve competency outcomes. Clinicians have to adjust assessment, triage and treatment and attend to ethical, privacy, security, and other challenges. Health systems need to manage change, proactively plan faculty development, and create a positive e-culture for learning. Research is needed on implementing and evaluating mobile health competencies for this significant paradigm shift in health care. The authors acknowledge the support of the American Association of Medical Colleges, Accreditation Council for Graduate Medical Education, American Psychiatric Association Committee on Telepsychiatry, American Telemedicine Association and the Telemental Health Interest Group, Department of Psychiatry and Behavioral Sciences, University of California, Davis School of Medicine, and Northern California Veterans Health Care System and Mental Health Service. Accreditation Council for Graduate Medical Education. (2013). Common program requirements. Retrieved from: https://www.acgme.org/acgmeweb/Portals/0/PFAssets/ProgramRequirements/CPRs2013.pdf. Accessed 11 Mar 2019. American Association for Marriage and Family Therapy. (2015). Standard VI technology-assisted professional services. Retrieved from: https://www.aamft.org/Legal_Ethics/Code_of_Ethics.aspx?WebsiteKey=8e8c9bd6-0b71-4cd1-a5ab-013b5f855b01. Accessed 11 Mar 2019. American Counseling Association. (2014). Code of ethics. https://www.counseling.org/resources/aca-code-of-ethics.pdf. Accessed 11 Mar 2019. American Psychological Association Guideline for the Practice of Telepsychology. (2013). Retrieved from: http://www.apapracticecentral.org/ce/guidelines/telepsychology-guidelines.pdf. Accessed 11 Mar 2019. Association of Marital and Family Therapy Regulatory Board (2015). Exam reference. Retrieved from: https://amftrb.org/mft-exam/exam-info/. Accessed 11 Mar 2019. Centers for Medicare & Medicaid Services. (2013). Coverage of direct service workforce continuing education and training within medicaid policy and rate setting: a toolkit for state Medicaid agencies. Retrieved from: https://www.medicaid.gov/medicaid/ltss/downloads/workforce/dsw-training-rates-toolkit.pdf, p. 12. Accessed 11 Mar 2019. Institute of Medicine. Health Professions Education Summit. (2003). Retrieved from: https://www.ncbi.nlm.nih.gov/books/NBK221516/. Accessed 11 Mar 2019. Kemppinen, J., Korpela, J., Partners, R., Elfvengren, K., Salmisaari, T., Polkko, J., & Tuominen, M. (2013). Clinical decision support system for adult ADHD diagnostics process. 46th Hawaii International Conference on… https://doi.org/10.1109/HICSS.2013.30. Retrieved from: https://www.semanticscholar.org/paper/A-Clinical-Decision-Support-System-for-Adult-ADHD-Kemppinen-Korpela/0c352ec4500b8c02ffb5f5c6535652810e90e15f. Accessed 11 Mar 2019. Kirkpatrick, J., & W. Kirkpatrick. (2009). The Kirkpatrick Four Levels: a fresh look after 50 years, 1959-2009. Retrieved from: http://www.managesmarter.com/managesmarter/images/pdfs/trg_20090417_kirkpatrickwhitepaper.pdf. Accessed 11 Mar 2019. Maheu, M., Drude, K., Hertlein, K., Lipschutz, R., Wall, K., Long, R., Hilty, D. M., et al. (2017). An interdisciplinary framework for telebehavioral health competencies. 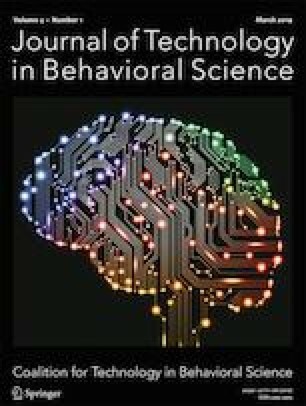 Journal of Technology in Behavioral Science Retrieved from: https://link.springer.com/content/pdf/10.1007/s41347-018-0046-6.pdf. Accessed 11 Mar 2019. National Association of Social Workers, Association of Social Work Boards, Council on Social Work Education, and Clinical Social Work Association. (2017). Standards for technology in social work practice. https://www.naswpress.org/publications/standards/technology.html. Accessed 11 Mar 2019.
van Os, J., Delespaul, P., Barge, D., Bakker, R.P. (2014). Testing an mHealth momentary assessment routine outcome monitoring application: a focus on restoration of daily life positive mood states. PLoS One;9(12):e115254. https://doi.org/10.1371/journal.pone.0115254. eCollection 2014.